Dr YS Parmar University of Horticulture and Forestry (UHF), Nauni, organised workshop to sensitise budding entrepreneurs about the Chief Minister Startup Scheme. The Incubation Center of the University in collaboration with the Industries department and HP Centre of Entrepreneurship Development (HPCED) organised the workshop. 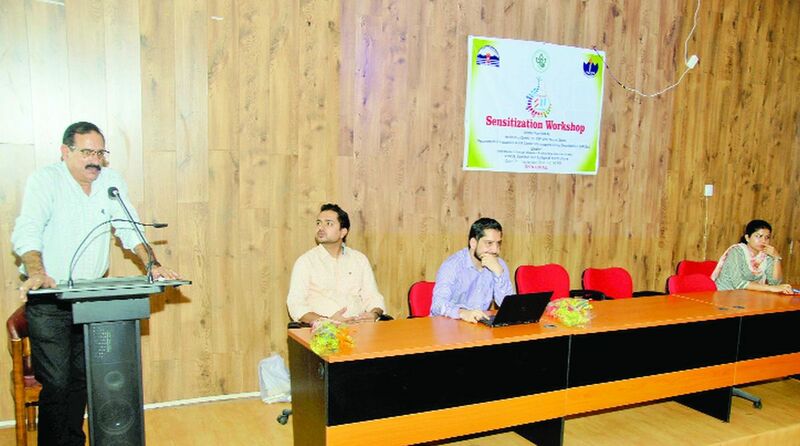 UHF joint director (Research) Manoj Vaidya said the students of Business Management, Food Science and Technology and Social Science departments attended the workshop. “The Chief Minister’s Startup scheme envisages practical exposure, orientation training, entrepreneurial guidance and handholding to potential entrepreneurs whose projects are approved. Once the project is recommended by the host institution and approved by the Empowered Committee, a monthly support of Rs 25,000 is provided as sustenance allowance for a year,” he said. He said one such incubation Centre was established at UHF last year. The Incubation Centers support startups and innovation by providing mentoring services, access to their labs, facilities on a free-of-cost (FOC) basis. He told about various Incubation Centers established under the Chief Minister’s Startup/Innovation Projects/New Industries Scheme. He explained that the objective of the scheme is to transform educated youth from job seekers to job providers and give support to the ‘Startup and Innovation projects’ in the state. The students were briefed about the whole process of registering for the startup scheme and objectives behind the scheme. The students were also apprised of the support provided by the state government for the setting up startups/new industries.